I’ve wanted to write about this week’s beer for some time but a few things held me back. Firstly, I know you have to try very very hard to find it, and when you finally think you’ve found somewhere with a firkin of this hallowed beer, it might be gone by time you get there. Secondly, I love doing research about a particular beer to add to my own personal experience of it, and I could barely find any information about it. Scant details about origins, or history, or development. But maybe that’s why it’s such a holy grail for beer drinkers: it’s shrouded in mystery, and that’s what makes it so enticing. 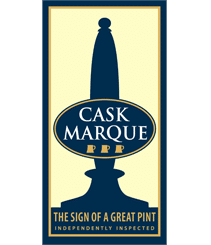 I found a brilliant piece of writing about it from one of Britain’s best beer writers, Des de Moor who said:“Around the world there are a few beers that every dedicated beer lover ought to try at least once, not just for their intrinsic quality but also their deep links to the heritage of brewing. Consider the likes of Worthington White Shield, Anchor Steam, Guinness Foreign Extra, Budvar and most of the Trappist ales – beers so precious, UNESCO should slap a World Heritage designation on them. One deserving entrant on this list originates from a small brewpub in the little-known town of Sedgley, a bus ride from Wolverhampton in the Black Country of the English West Midlands. The Beacon Hotel is a gem of a pub, listed in CAMRA’s National Inventory for preserving its multi-roomed layout, but perhaps most celebrated as the home of Sarah Hughes Dark Ruby Mild. The hotel and its brewery date from 1850, and Sarah Hughes herself presided for 50 years from 1921. The brewery fell out of use in the late 1950s but was revived in 1987 by Sarah’s grandson, John Hughes, who still owns the pub today. Now this article created more questions than it answered. Who was the mysterious Sarah Hughes? Why, in a period of history when mild’s were usually low strength, did Sarah create a 6% blow-your-socks-off super strength humdinger of a beer? I’ve trawled the internet, searched through my beer books, but I still can’t figure out why she did it. I don’t understand how this little brewery in the Black Country, who only produce 24 brewer’s barrels a week can have attracted such huge attention and reverence from beer drinkers worldwide. When I ran a pub, I perhaps managed to get hold of two firkins a year, if I was lucky. Getting hold of the beer was like hoping your numbers would come up in the National Lottery. Selected regulars would be informed of its arrival. I didn’t even have a pump clip for it. 72 pints of Sarah Hughes would go within an hour of its arrival on the bar, so keen were drinkers to get a taste of this beer. So, why is it so special, other than its rarity? Maybe because it’s a stunning beer. It’s a rich ruby colour with a massive aroma of blackcurrants, stewed plums and fruit cake. The taste is sweet and fruity at first, then like a good port it delivers dryness, woodiness, molasses and Muscovado sugar. If modern beers describe themselves as ‘complex’, this one is off the scale. Everyone I’ve ever come across who has been lucky enough to taste this beer raves about it. Maybe the secret of its success is its limited availability. Try it with a good quality chicken liver pate, game terrine or a steak and kidney pudding in suet pastry. It needs a good hearty meat to stand up to a beer this great.